A patent trial lawyer with over two decades of experience, Jonathan Harris focuses his practice on patent litigation and contested Patent Office proceedings. Clients describe Jonathan as "an excellent patent analyst" and "skilled at translating complex technical subjects into English." Jonathan has worked with industry leaders such as Actavis (now Teva), Johnson & Johnson, Par (now Endo), Thermo Fisher and Unilever. He has successfully litigated and tried cases involving products worth billions of dollars. With experience in both patent litigation and prosecution, Jonathan seeks to separate the strongest from the weakest positions early in each case. His approach narrows cases to what really matters at trial and helps identify unique and defensible positions others might not have considered. Given his focus on clients’ business objectives and having earned an MBA, Jonathan also tries to see the bigger picture of every matter — not only from a legal, but also a commercial perspective. Jonathan prides himself on counseling clients to reduce litigation risk and craft business resolutions through effective pre-trial strategies. He also regularly provides advice on pre-litigation matters, prepares patent licenses and conducts IP due diligence. 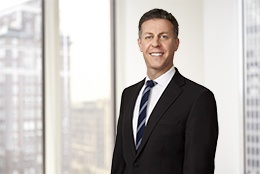 Outside the firm, Jonathan co-founded the Janet Bond Arterton IP Inn of Court. He has also tried cases for the Commission on Human Rights and Opportunities on a pro bono basis. Agilent Technologies, Inc. v. Dionex Softron GmbH, Pat. Int. No. 106,703 (2016) Representing Dionex (Thermo Fisher) in patent interference matter over HPLC devices. Eli Lilly & Co. et al. v. Actavis Laboratories UT, Inc., No. 16:cv-01119 (E.D. Va.) Defended Actavis in patent infringement action over a method of treatment with the active pharmaceutical ingredient tadalafil (Cialis®). Duchesnay Inc. et al. v. Actavis Labs FL, Inc., No. 14-cv-00912 (D. Del.) Defended Actavis in patent infringement action over a formulation containing the active pharmaceutical ingredients doxylamine succinate and pyridoxine hydrochloride (Diclegis®). Par Sterile Products, LLC v. Hospira, Inc., No. 13-cv-07460 (C.D. Cal.) Represented Par in false advertising action over active pharmaceutical ingredient epinephrine (Adrenalin®). Procter & Gamble Co. v. Conopco, Inc., No. 13-cv732 (S.D. Oh.) Defended Conopco in this patent infringement action over shampoo compositions. Novartis Pharmaceuticals Corp. v. Actavis LLC, No. 13-cv-010208 (D.N.J.) Defending Actavis in this patent infringement action over the active pharmaceutical ingredient zoledronic acid (Zometa®). Successfully assisted in defeating a request for a Temporary Restraining Order. Settled. Synthes USA, LLC et al. v. Globus Medical, Inc., No. 11-cv-00652 (D. Del.) Assisted in Synthes’ successful enforcement of several patents relating to spinal implant devices. Jury verdict in favor of Synthes. Program Rewards Solutions, LLC v. Citigroup Inc., No. 11-cv-6438 (S.D.N.Y.) Defended Citigroup in a patent action over a patent directed to computerized systems and methods for enabling discounts from goods and service providers. Settled. Abbott Laboratories, Inc. et al. v. Actavis Elizabeth LLC et al., No. 10-cv-02352 (D.N.J.) Defended Actavis Elizabeth LLC in a patent action over a patent directed to the active pharmaceutical ingredient choline fenofibrate (Trilipix®). Settled. Pfizer Inc. v. Teva Pharmaceuticals USA, Inc. et al., No. 09-0307 (D. Del.) Defended Actavis Elizabeth LLC in a patent action over three patents directed to the active pharmaceutical ingredient pregabalin (Lyrica®) and methods of use. At a Markman Hearing, Jonathan successfully argued claim construction on behalf of six co-defendants. Finding of literal non-infringement based on claim construction. Medacist Solutions Group LLC v. Pandora Data Systems, Inc., No. 07-0692 (D. Conn.) Defended Pandora Data Systems in a patent action by Medacist Solutions over a patent directed to computer software and systems for preventing drug diversion in the hospital setting. Settled. Elan Corp. PLC. v Actavis South Atlantic, LLC., No. 07-0679 (D. Del.) Defended Actavis South Atlantic in a patent action over two patents directed to controlled release formulations containing an isomer of the active pharmaceutical ingredient methylphenidate (Focalin XR®). Settled. Celgene Corp. v. Abrika Pharmaceuticals, Inc, No. 06-5818 (D.N.J.) Defended Abrika Pharmaceuticals in a patent action over three patents directed to controlled release methylphenidate (Ritalin LA®) formulations for treating ADHD. Settled. Zanfel Laboratories, Inc. v. Cade Laboratories, LLC, No. 06-0348 (W.D. Mich.) Represented patentee Zanfel Laboratories in enforcing a patent directed to the use of topical compositions in the treatment of poison ivy. Defeated five motions for summary judgment of invalidity and enforceability. Settled. Cushion Technologies, LLC v. Adidas Solomon North America, Inc. et al., No. 06-0347 (E.D. Tex.) Defended Fila USA, Inc. in a patent action over a patent directed to cushioning springs used in athletic footwear. Settled. PSN Illinois, LLC v. Oil-Dri Corporation Of America, No. 04-0915 (N.D. Ill.) Defended Oil-Dri in a patent action over two patents directed to particulate compositions used in animal litter. Settled. Quickie Manufacturing Corp. v. The Libman Company, No. 04-2229 (C.D. Ill.) Represented patentee Quickie in enforcing a patent directed to an enhanced wringing mechanism for use with butterfly mops. Settled. Ondeo Nalco Company v. Eka Chemical, Inc., No. 01-0537 (D. Del.) Defended Ondeo Nalco in a declaratory judgment patent action over three patents directed to colloidal silica compositions used in papermaking. Settled after a mistrial. The Libman Company v. Quickie Manufacturing Corp., No. 00-2279 (C.D. Ill.) Successfully represented patentee Quickie in a declaratory judgment action over a patent directed to a locking device used on cleaning implements. Verdict in favor of patentee. The Federal Circuit affirmed the district court's decision in favor of Quickie on appeal. Polyclad Laminates Inc. v. MacDermid Corp., No. 99-0162 (D.N.H.) Defended Macdermid in a patent action over a patent directed to specialized adhesives used in the manufacture of printed circuit boards. Macdermid prevailed on its motion for summary judgment of non-infringement.